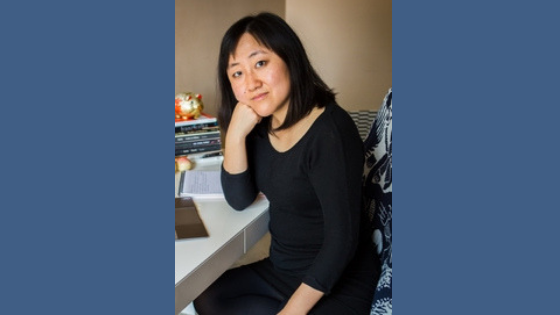 Candace Chen is a dedicated office drone in the publicity department of a big-time publishing house, deftly negotiating contracts for the novelty Bibles her company churns out year after year. 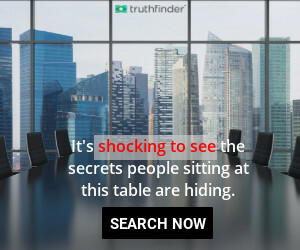 Only when a society-erasing plague, a mysterious fever that rends its victims into a zombie-like existence, wipes out most of her co-workers does Candace reluctantly abandon her corporate duties. She soon aligns with a roving band of survivors and finds herself contemplating her past and struggling to contain a life-changing secret. 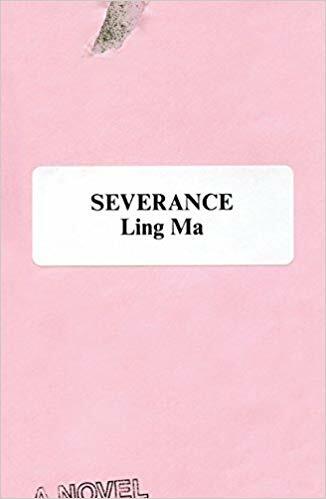 Ling Ma’s Severance combines sharp satire with an unsettling post apocalyptic setting to create a reading experience that defies convention. BookPage raved that “Ma’s engrossing, masterfully written debut transforms the mundane into a landscape of tricky memory” and The Millions stated that “Severance announces its author as a supremely talented writer to watch.” Brendan Dowling spoke to Ma via telephone on September 4th, 2018. What was your relationship to the zombie genre before you wrote this book? I had a very casual relationship to the zombie genre. I’d seen some Romero films. I’d seen many seasons of The Walking Dead. I knew some of the main cultural touchstones, but I wasn’t a full-fledge zombie or apocalypse fanatic. What appealed to me about zombies, perhaps, was my own interest in the way that mob mentality works, especially in online communities. That’s the closest level of fear and disdain that I feel about zombies. In terms of building the world of the fever, can you talk about how you upended some of the traditional tropes of zombies? The zombies in your world don’t necessarily pose an imminent threat to the other characters, for one. We get such a visceral feel for Candace’s life, whether it’s life with in camp or the mundane details of her job in book production. What was your research process like? Book production is something I have personal experience in. It was a job I held briefly after college. I didn’t just work on Bibles, but I worked on a range of different types of books—cookbooks, art books, two Bibles, and pop-up books. It had been a long time since I worked that job, so I actually contacted some of my old co-workers. Not everyone got back to me. (laughs). Maybe it’s a nightmare if your former colleague emails you out of the blue and says, “I’m writing a novel about our old job!” I can’t imagine that some of them had a positive reaction to that. But a few got back to me and I made sure to fact check everything. It was very, very important, especially when it came to the Bible manufacturing details, that I get it as right as possible. Bible manufacturing is one of those things where it doesn’t need more embellishment. It’s bizarre enough on its own, and I wasn’t trying to exaggerate. I just wanted to show how the sausage is made. Pop culture plays such a key role in your book. At one point, one of the characters says, “When you wake up in a fictitious world, your only reference is fiction.” Can you talk about how you selected the pop culture you included in this book? I think the novel names a bunch of things, like a bunch of books, a bunch of TV shows, a bunch of movies. I wanted to show it’s all accumulated cultural ephemera in the same way that the novel names brand names. It’s just stuff. I wanted the reader to have the experience of wading through mountains of stuff. Sometimes the titles don’t have anything to do with one another. Like Seinfeld doesn’t have much to do with A Wrinkle in Time. It’s just by putting all of these random disassociated things on the same plane, there’s this feeling of “What is the pattern here? What is the meaning?” There’s a feeling of maybe chaos, that there is no pattern, there is no meaning. It’s a lot of stuff. I wanted to talk to you about the narrative of the book, which a lot of people have likened to Then We Came to the End. Can you talk about how you arrived at the voice? I did start out in the first person plural, like Joshua Ferris’ Then We Came to the End. Actually I didn’t finish all of Then We Came to the End, I don’t remember why exactly, but it was a long time ago. I’d read maybe a third of it, but I found the first person plural voice really engaging. This novel originally started as a short story, so I guess it was kind of a rip-off. (laughs) I just did first person plural in the beginning, except there was an apocalypse thrown in. It was just for fun, and then after a while Candace’s voice kept rising out of this mass, out of the “we,” out of the collective. She took this novel and ran with it. I just tried to follow her and keep up. You talked about the before and after of an immigrant novel. Can you talk a little bit more about that and what you wanted to explore with Severance? I really resisted writing the immigrant background for Candace Chen for a long time. Somehow in the back of my mind I knew I’d have to go there. The reason it had to go to that place is because I needed to explain or show why someone like Candace Chen would have stayed at the office for as long as she does. It was really important to give some background for that. I think part of the reason I resisted writing the immigrant component is that it feels like for every minority character there’s this cavern of telling their immigrant story. They can’t just exist in stories without an immigrant narrative attached to them. I didn’t want to go there for the longest time, but I figured it served its purpose in the novel. Candace’s story is so compelling, especially in the scene where she has to go back to her country of birth and feels so out of place. I wanted to explore the dissociative feeling of that, and I wanted to show global capitalism on an individual level, on a low ground-floor. I loved the design of the book jacket. It seems so evocative of the book’s tone and humor. Did you have any input on it? I filled out the form for what I wanted. I gave the most pretentious advice for the book designer. (laughs) I think I said something like, “I want the most non-design design possible.” I don’t know what his reaction was, but looking back at it, I’m like wow that sounds really pretentious. 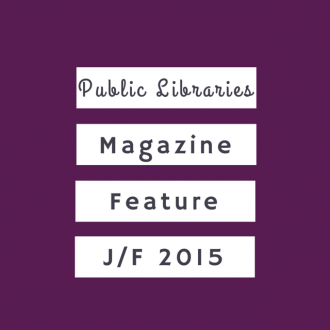 Finally what role have public libraries played in your life? Actually shelving books at a public library was the first job I have ever held in my life. In many ways, it was the best job I ever held because I didn’t have to talk to anyone. (laughs) I grew up in Kansas, at least for middle school and high school, and I worked at the Topeka-Shawnee Public Library. That was great for me. I was the high school kid who would rent out Ingmar Bergman films. I loved being at the library. It was one of the few institutions as a minority I felt comfortable and safe in.